New Delhi: The Indian Medical Association (IMA) has recorded the maximum number of ambulatory blood pressure readings amongst the medical fraternity in a single day. The exercise was conducted in collaboration with the Heart Care Foundation of India (HCFI) and Eris Lifesciences on the World Hypertension. According to experts, hypertension is often misdiagnosed given the difference in blood pressure readings at home and in a clinic. Ambulatory Blood Pressure Monitoring (ABPM) can help in getting a more accurate picture of a persons BP pattern in a span of 24 hours. 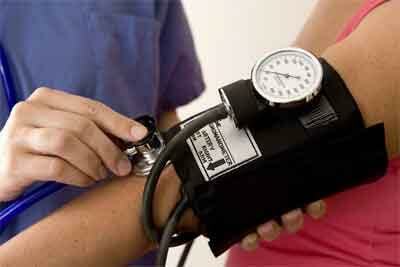 In the ABPM system, a persons blood pressure is measured as he or she moves around doing their daily chores. A small digital blood pressure machine, which is attached to a belt around the body and connected to a cuff around ones upper arm, notes the blood pressure readings at regular intervals over a period of 24 hours, typically after every 15 to 30 minutes. “About 20,000 ABPM readings were taken from 533 doctors, including those of the IMA leadership, spanning 33 Indian cities. The exercise revealed that 21 per cent of the doctors surveyed had masked hypertension or isolated ambulatory hypertension. In simple terms, their BP readings were normal when evaluated through the conventional clinic measurement technique, but high through the ABPM technique,” said K K Aggarwal, national president of IMA. Masked hypertension is associated with increased long- term risk of sustained hypertension and cardiovascular morbidity, he said. In addition to this, 56 per cent of the doctors evaluated suffered from irregular BP pattern at night making them prone to future adverse cardiac events, while 37 per cent had nocturnal hypertension, which can never be diagnosed in clinic BP measurement. Over 50 per cent physicians had uncontrolled hypertension despite taking medication, the official said. “Evaluating both daytime and nighttime blood pressure is crucial for predicting all cardiovascular events,” Aggrawal said. Shashank Joshi, president of Hypertension Society of India said, “Your doctor may suggest ABPM either to find out if your blood pressure readings are higher in the clinic than at home, to see the efficacy of your medicines in controlling blood pressure throughout the day, or to note whether your blood pressure increases at night. “Since there are no visible signs of masked hypertension, it is always good to let your doctor know if you have a family history of high blood pressure,” he explained. Increasing your intake of fresh fruits, vegetables, olive oil and omega-3 foods can help lower high blood pressure levels. It is also a good idea to consume sprouted or whole grains. “Try to reduce your sodium intake, which does not necessarily come only from table salt or salt added while cooking. Processed and ultra-processed foods are the real culprits behind increased sodium intake,” Aggrawal added.